Oh right! That thing on my MacBook Air that Apple made such a big deal about. Thunderbolt. It's extremely quick, and I'd like to use it! But where are the Thunderbolt accessories? 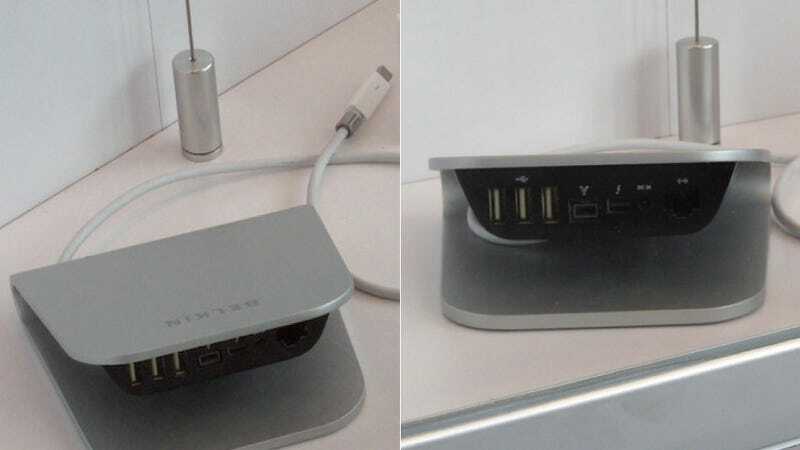 But Belkin's got one to multiply your ports.